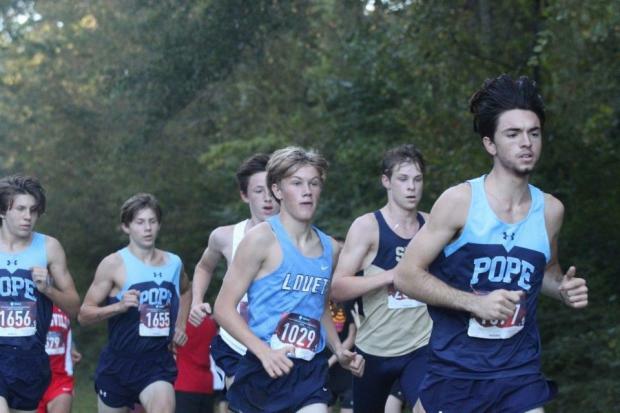 It was a serious 'Battle of the Bigs' at Warpath in the Varsity boys race between #1 All-classes St. Pius X and last week's #2 6A squad Pope. The Greyhounds tighter 1-5 spread at :20 proved to be the deciding factor for a 9 point team victory. 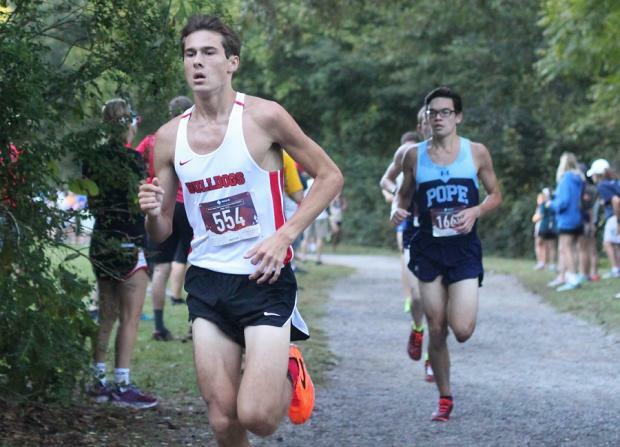 Sr Axel Mateo led the way taking 6th overall in 16:07 with team mates William Brown 9th (16:15) and Cole Heron 10th (16:17) Sr Rowan Wiley was the top Golden Lion for Pius finishing 4th at 15:57. 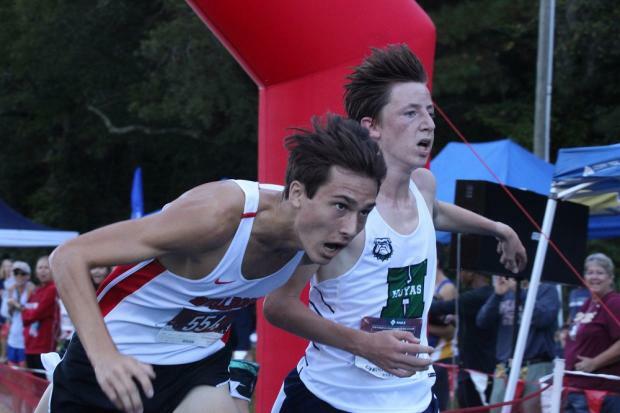 It got intense for the Individual title, as Calan Gizelbach of Central Forsyth was headed in for the win, but Sully Shelton of Harrison made a furious charge down the stretch catching him and leaned in for the win clocking a 15:40.10 pushing the Hoyas to 3rd in the team standings. Gizelbach was probably a bit closer than the 15:40.20 posted if you look at the photo finish. 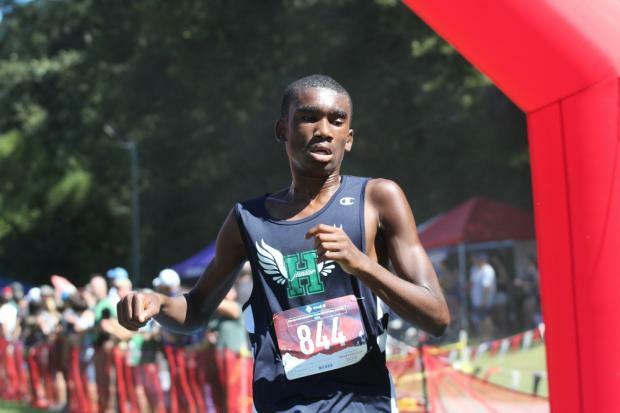 Whitefield Academy's Devin Wade continued to have a strong season placing 3rd overall in 15:55 and Alex Thomas from North Oconee took 5th at 15:59. 3A Lovett ran very well again placing 4th with 3 runners in the top 20. 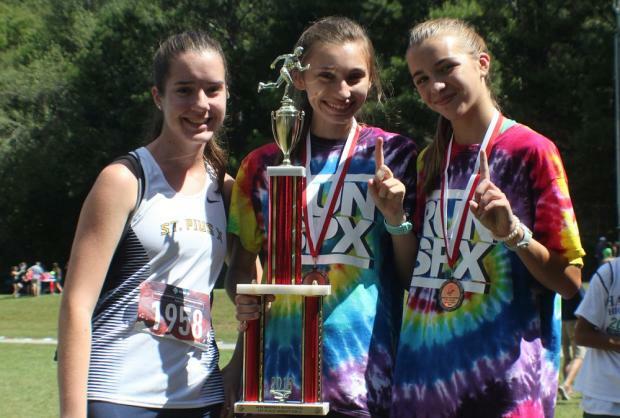 4A St. Pius' girls made a statement winning the Girls team title by 8 points over 6A Harrison. The Lady Golden Lions had 3 runners finish in the top 11 spots including: Maggie Yankovich in 7th (19:16), Catherine Breault 9th (19:19) and Mary Brady 11th (19:28) The Lady Hoyas charge was led by Riley Perlakowski as she crossed 8th posting a 19:17. 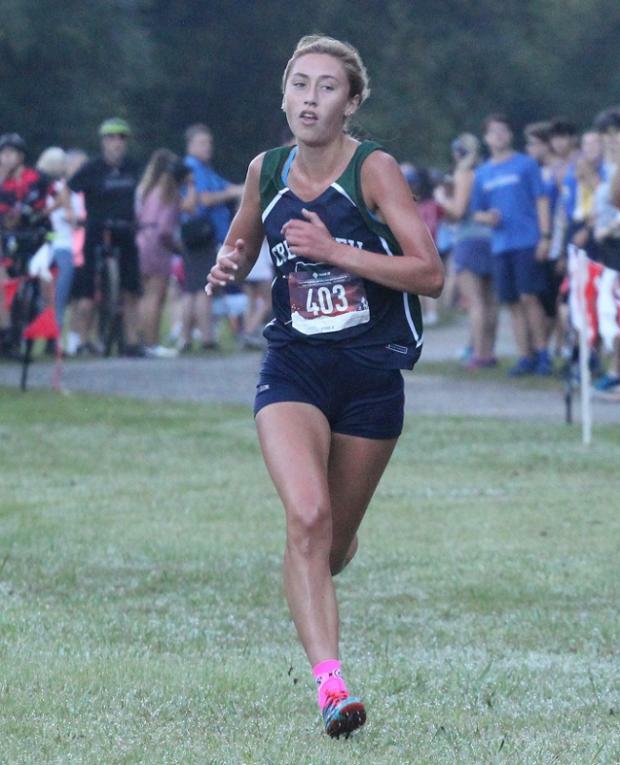 Makena Gates of Creekview was never challenged, taking control of the race early and won going away clocking a 18:02, helping push the Grizzlies to a 3rd place team effort and Alysa Miles had a strong race taking 6th at 19:14. 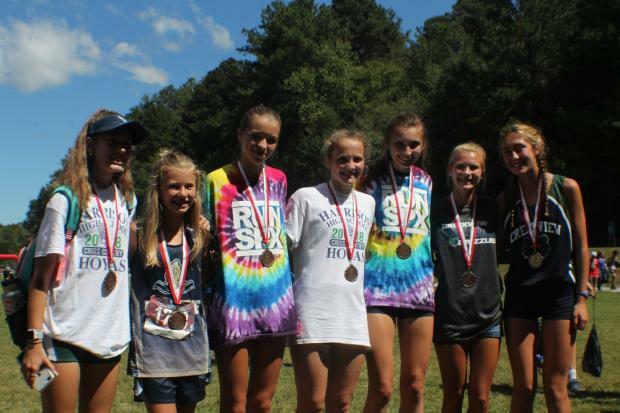 Oconee County seems to be getting stronger every race when at full strength taking 4th as a team led by Caroline McArthur's 4th place effort of 19:08. 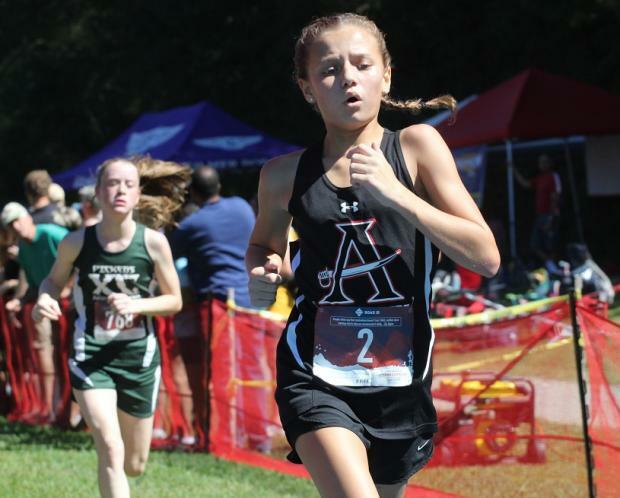 Rounding out the top 5 were overall runnerup Regan Mahoney of Atlanta International at 18:36, followed by Haley Hooper of Lovett in 3rd place going 18:44.